Our wedding invitations were a labor of love (I’m sure my mother and sister who helped do the bulk of the work would say so too, right?). They were the first wedding suite I’ve ever done, and I’m so proud of how they turned out. 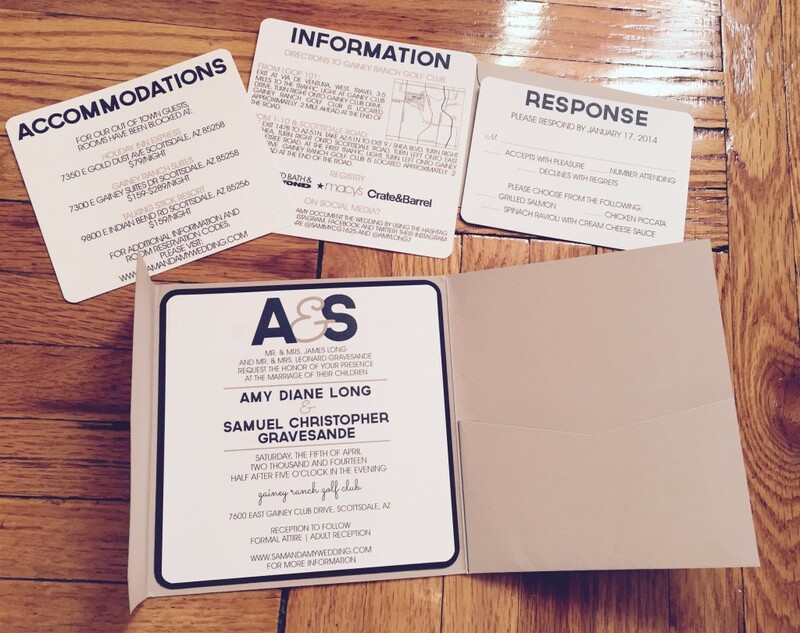 It consisted of the invite, an RSVP card, information card, and accommodations card. While we had most of that listed on our website, we felt it was necessary to include all pertinent information for older family members who may not visit the web that often. The folder itself was closed with a satin black ribbon. 🙂 I wish I could do it all over again. Maybe that’s why I love doing them for other people so much?